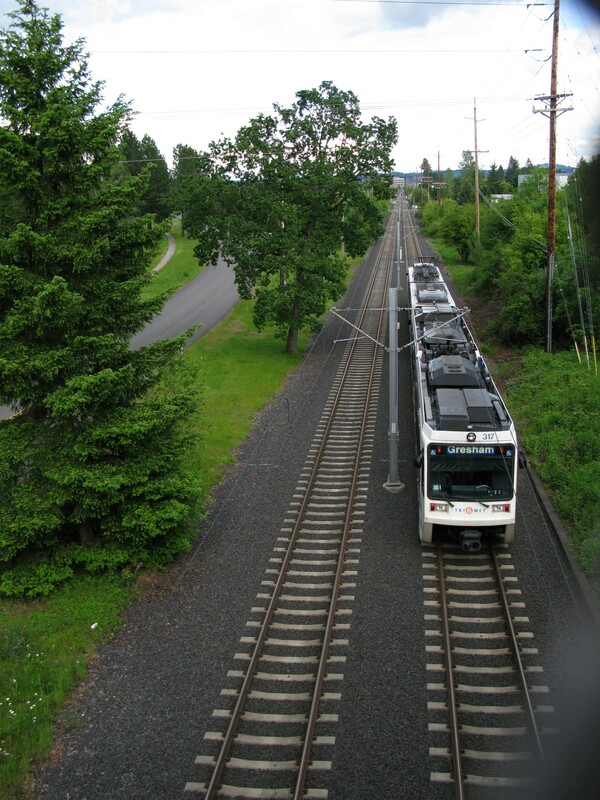 Sometimes I’ll do a scan through Twitter posts that mention TriMet to see if there is anything interesting being discussed or if people have questions about the trains that have a quick and easy answer. 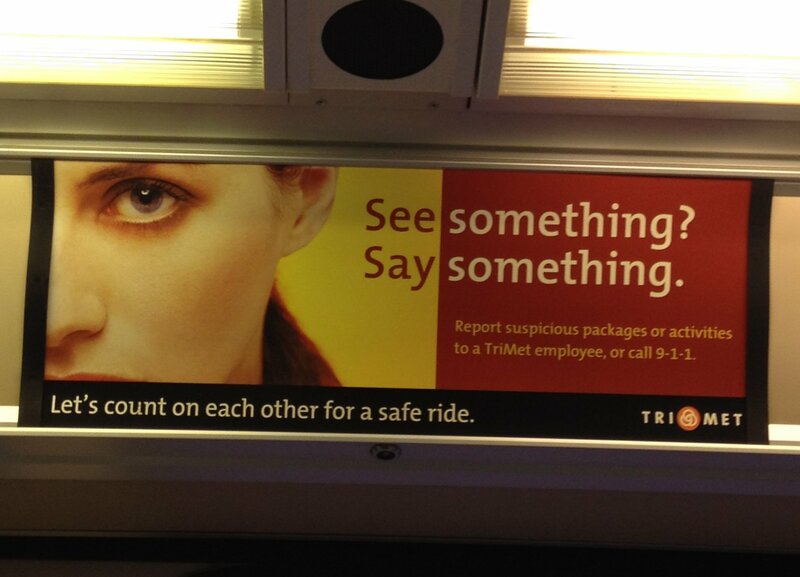 However, I’ve noticed a lot of people use Twitter to tell TriMet about safety or operational concerns, and although Twitter is an official channel for TriMet information, it’s really not the best method to address, well, pretty much any of the things that get posted there. 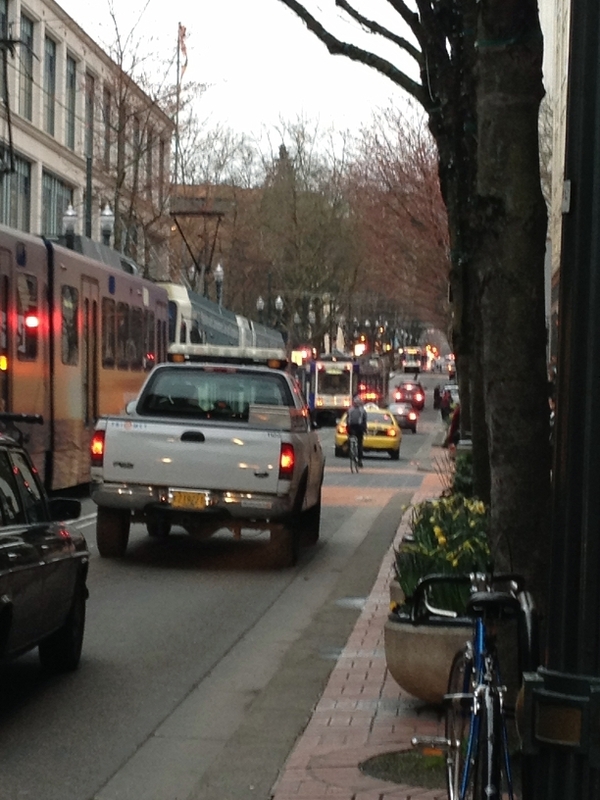 TriMet’s official twitter is not monitored 24/7. Typical activity on the official account is that every Monday through Friday, someone at TriMet will scan through the last day’s worth of tweets and do a batch of responses to them over the span of about an hour or so. 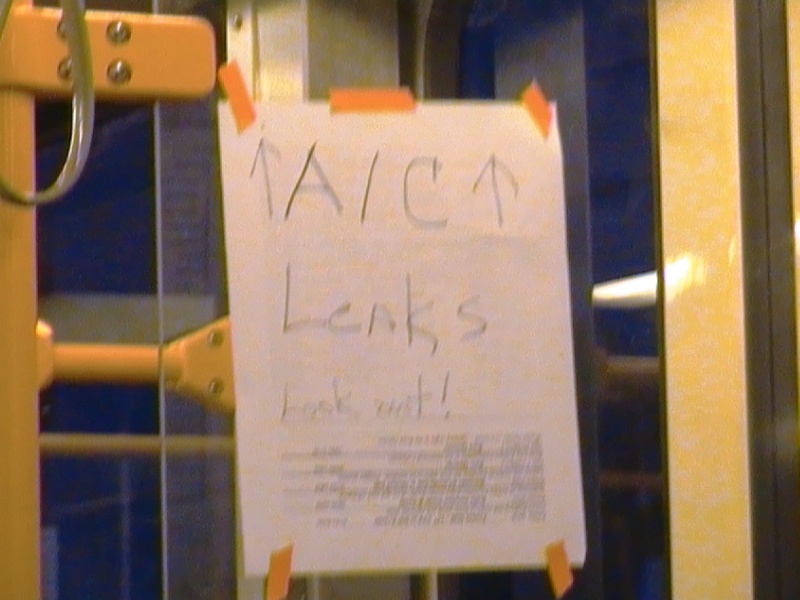 As a result, by the time someone gets around to seeing what you wrote, you’re nowhere near that train that had a broken sign, loose pitbull, bikes blocking the doorway, etc, whatever it was that you wanted someone to do something about in the first place, and the only response you will likely get from TriMet will be to call customer service. So if not Twitter, What should I do if I want to report something on a train? 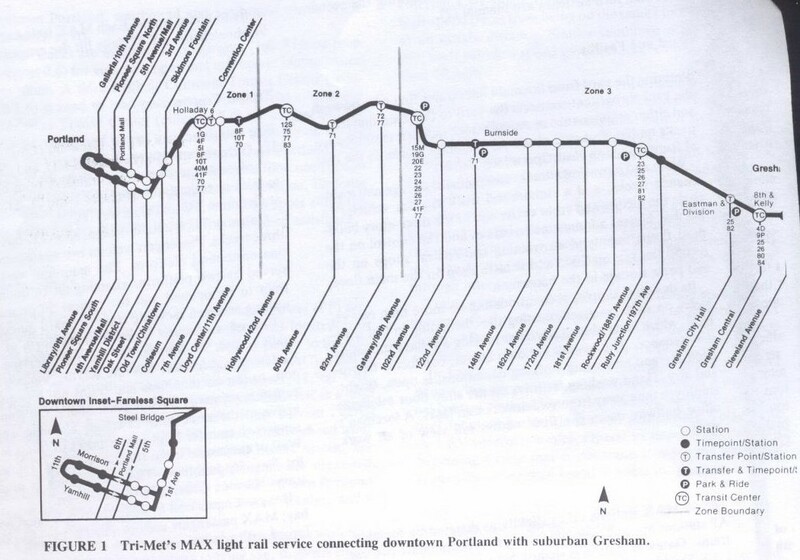 TriMet’s Twitter is not constantly monitoring the trains, however the operator of your train is, and he or she is connected to controllers, who in turn are connected to emergency/medical personnel as well as supervisors in the field who can get to situations much faster than Twitter will. 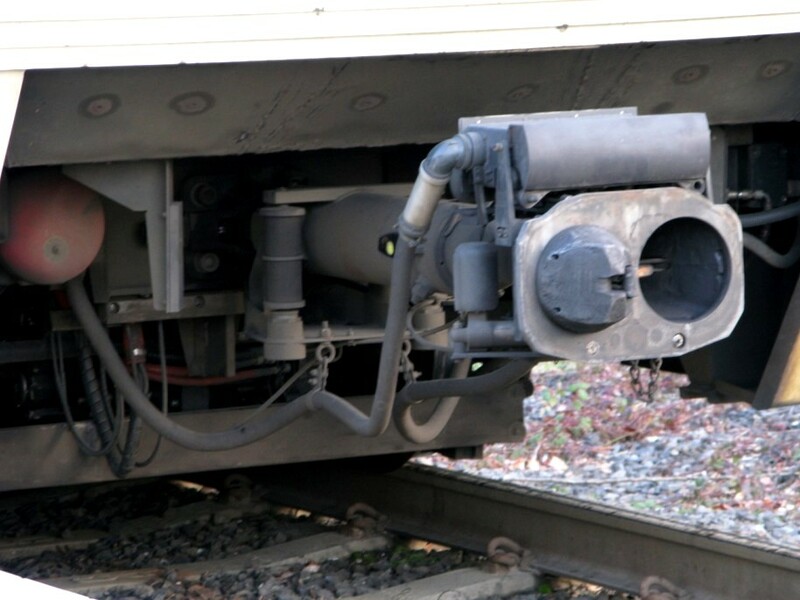 That being said, for most immediate concerns onboard a train you should notify the operator, but if there happens to be a supervisor, fare inspector, transit police, or security officer onboard, you should talk to them instead because your operator’s first priority is to safely operate the train. 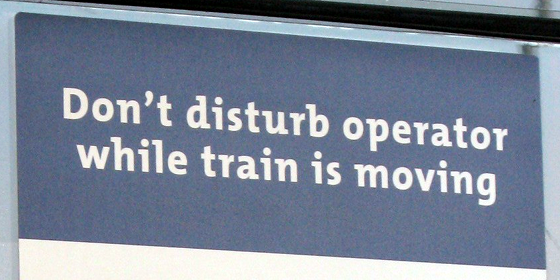 If at all possible, wait until the train is stopped before contacting the operator about an issue. 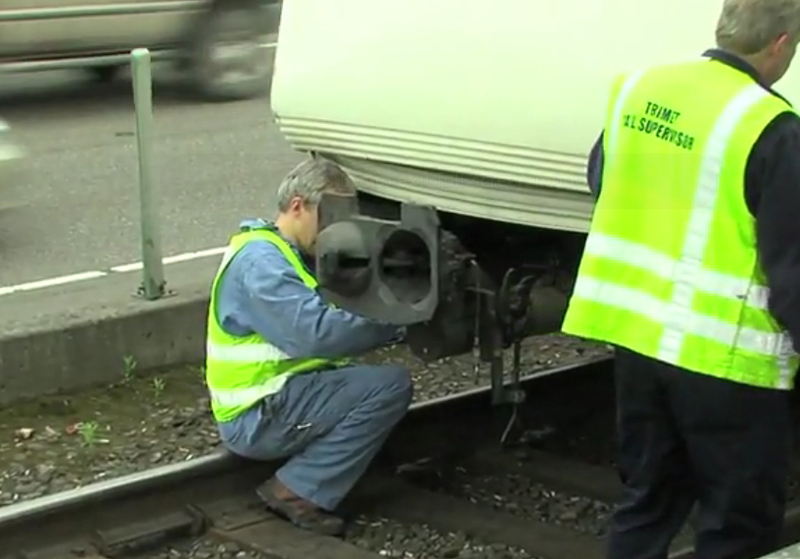 Only contact the operator while the train is moving if there is an emergency situation. EMERGENCY SITUATIONS: Situations where someone’s life may be at risk. 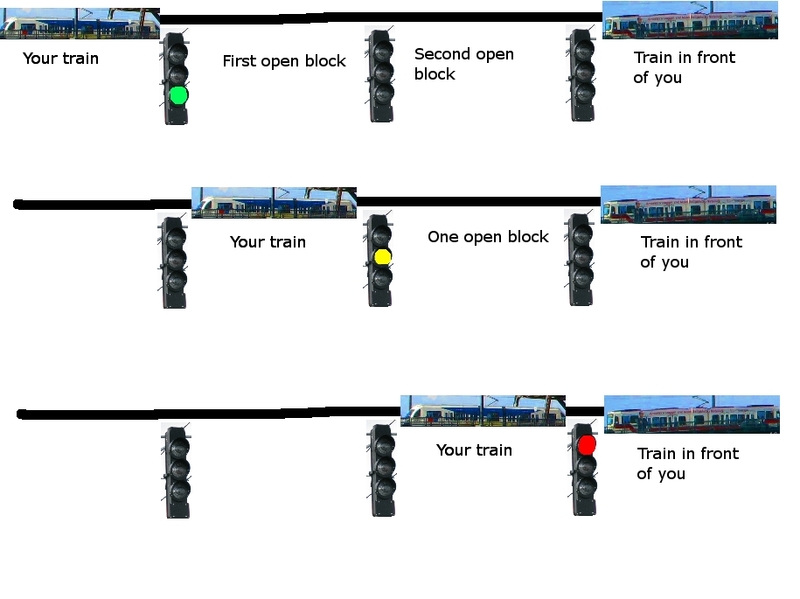 Examples – someone needs immediate medical attention; there is a fight onboard; the train is on fire; a door opens while the train is moving. Contact the operator immediately. URGENT SITUATIONS: Situations that potentially pose a safety risk, but do not appear to be immediately life-threatening. Examples – overhead panel onboard the train is open; access to train doors or aisle is blocked by bicycles not properly stowed. Wait until the train is stopped and contact the operator. 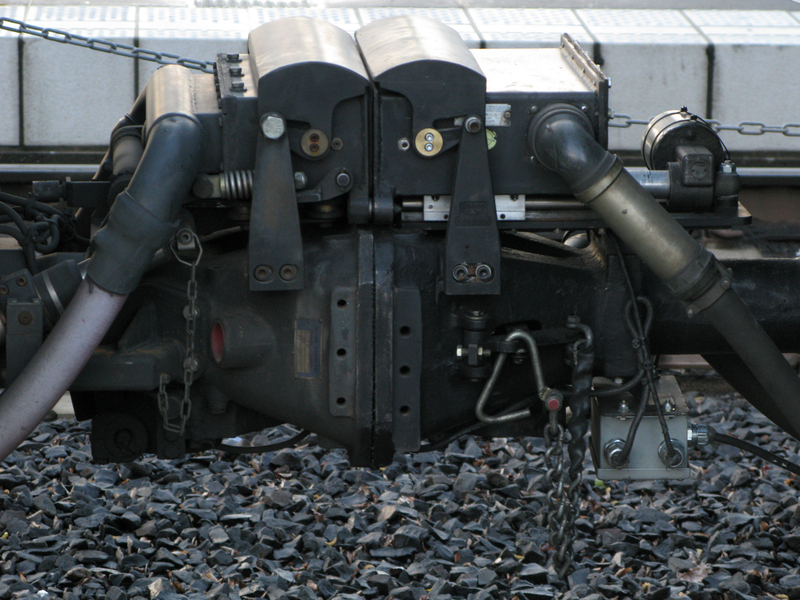 IMPORTANT, NON-URGENT SITUATIONS: Situations that need attention but are not safety-sensitive and don’t impair the operation of the train. 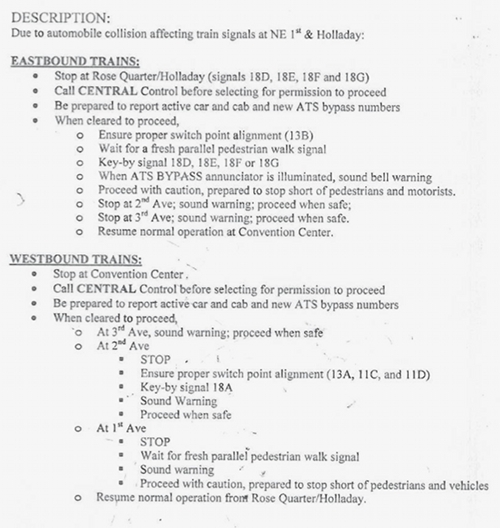 Examples – HVAC not working right, APACU issues (stuck destination signs, announcing the wrong stop, etc). Wait until the train is stopped before contacting the operator. 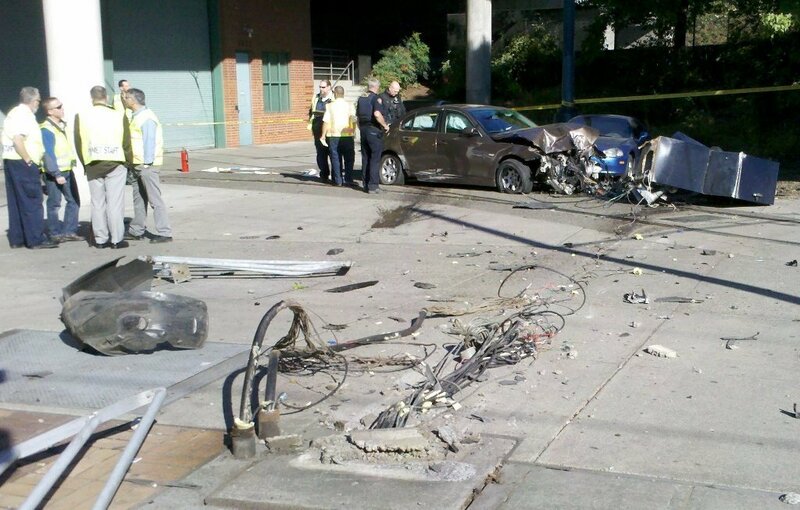 Generally speaking, situations that would be reported are either safety-related or operational-related. When reporting a safety issue to the operator, give as much information as you can. 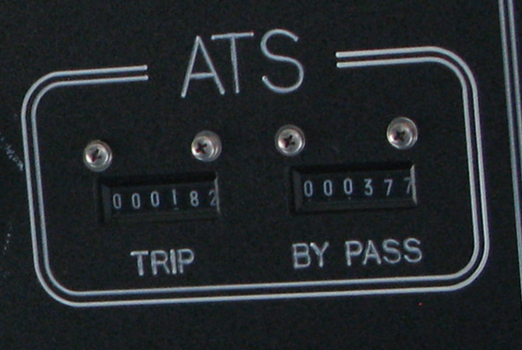 The operator will relay this information to Control. 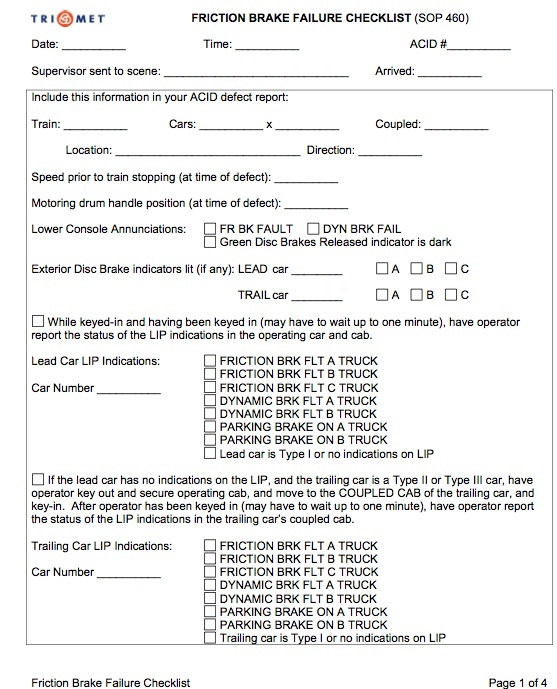 Sometimes Control will ask the operator to step out of the cab to get more information on the situation, and they will often notify a supervisor in the area who will meet the train to address the situation. Control will also send for police or medical if necessary. 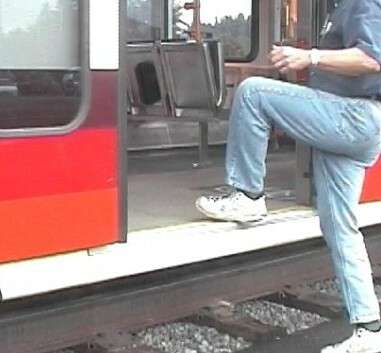 If there is a fight onboard the train or other threatening situation where you fear that using the intercom will put you too close to the problem, you can move to the other car of the train and use an intercom from there or use your phone to call 911 and police will meet the train at the next platform. 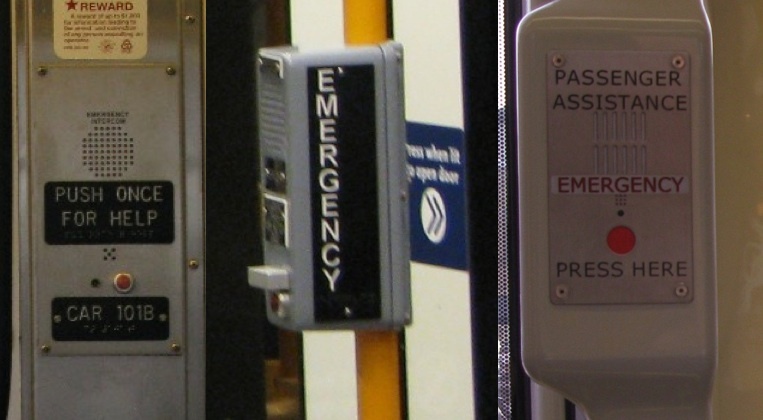 Know where to be able to find the emergency intercoms on the train. 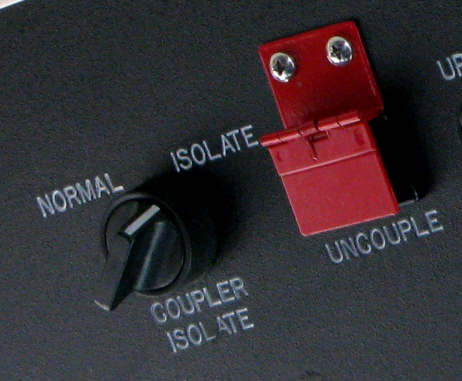 In a Type 1, there are 2 per car, located above the seat to the left of each cab. 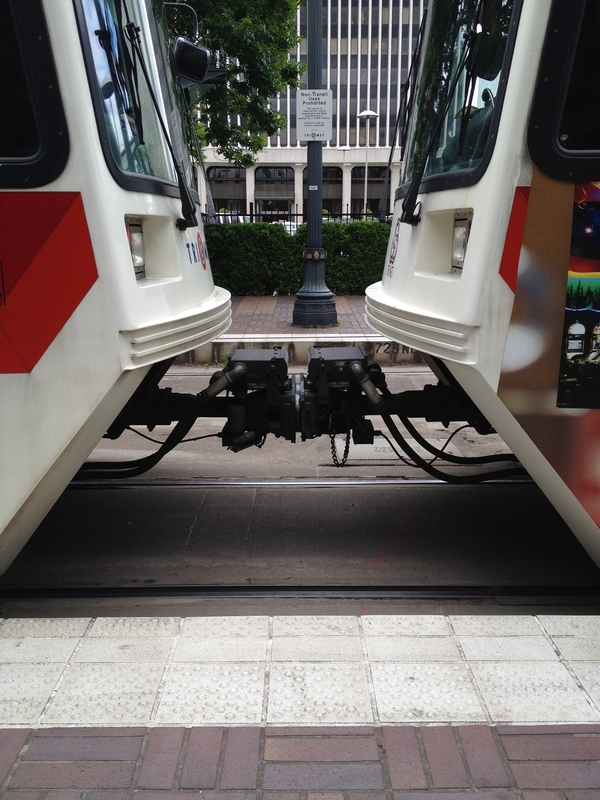 In Type 2s and 3s, there are 4 per car, located at doors 3, 4, 5, and 6 (the doors closest to the middle of the train car). 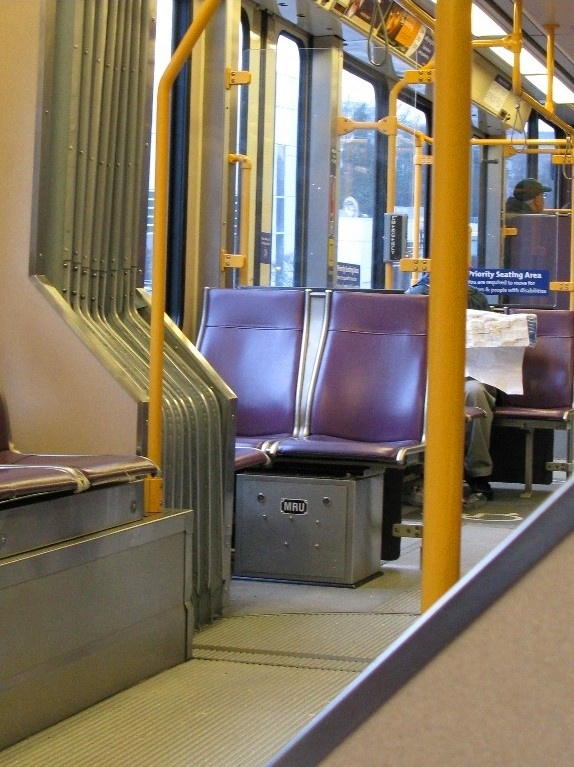 In Type 4s, there are also 4 per car, located at doors 1, 4, 5, and 8 (one near each set of doors in the train car on alternating sides). 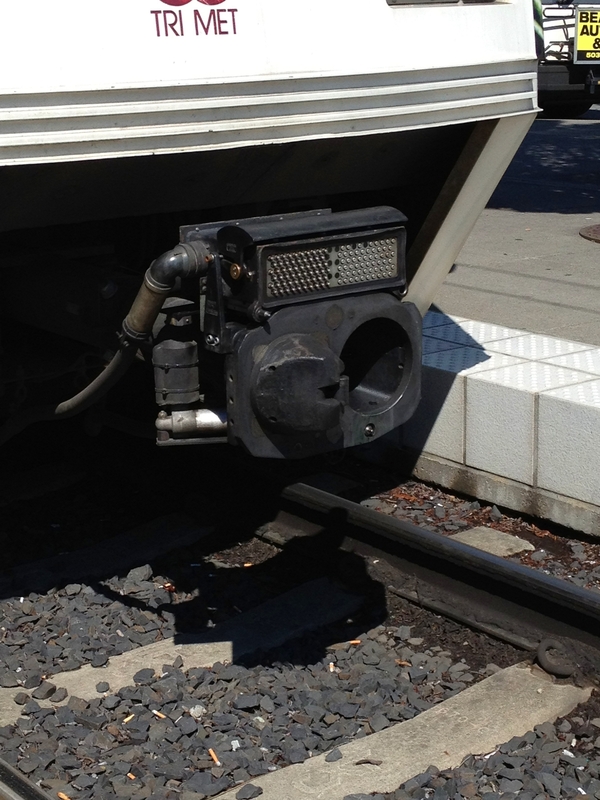 If something seems broken or out of place on the train, you can let the operator know, using your best judgment if the operational problem poses an immediate threat to safety or if it can wait until the train is stopped at the next platform. 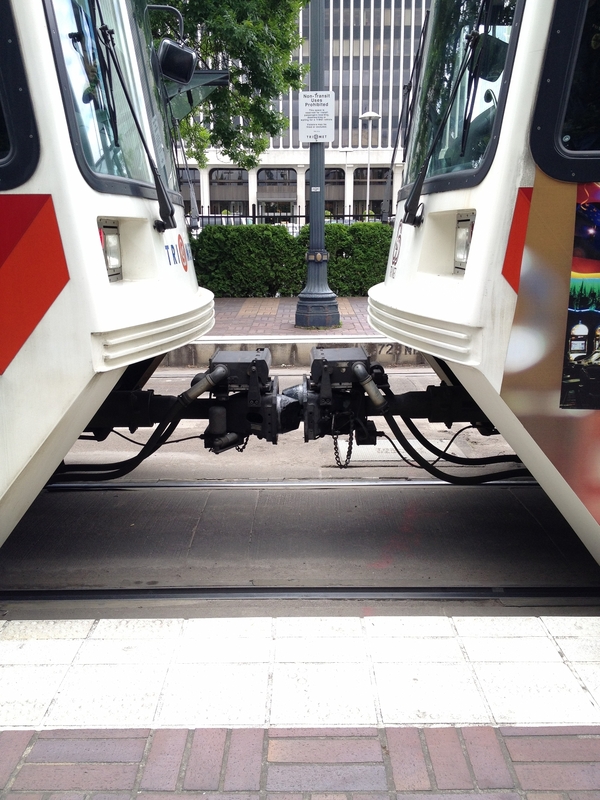 Same as with safety issues, giving a specific location is very helpful (which car is it in; what door number is it near, etc) – considering that a 2-car consist is about 200′ long, being able to quickly narrow down the location of the problem means getting to it faster to fix it and less of a delay for everyone. As to the answer to this particular situation, I don’t know what the issue was, possibly a bridge lift. But operators are trained to keep passengers informed of delays with as much information available regarding when the train will be rolling again. 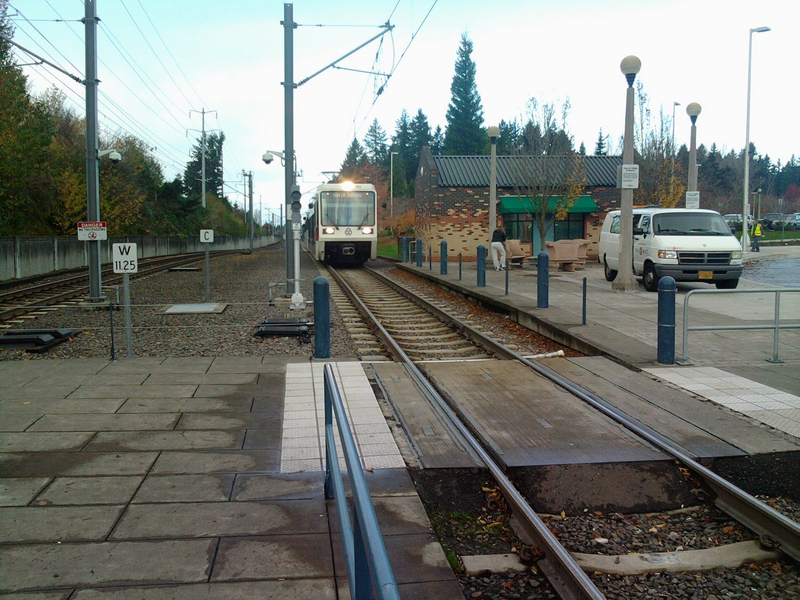 Some delays at platforms are expected and built in to the schedule (in particular at Ruby Junction, Gateway, Beaverton TC, or Elmonica) where one operator relieves another at the end of their shift. 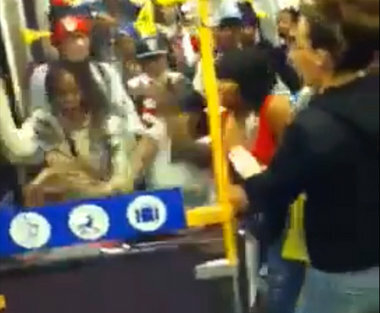 Other times trains can get conga lined if something causes a backup and this could also cause delays. If your train has been stopped for several minutes with no announcements made, it’s okay to contact the operator and ask what’s going on. 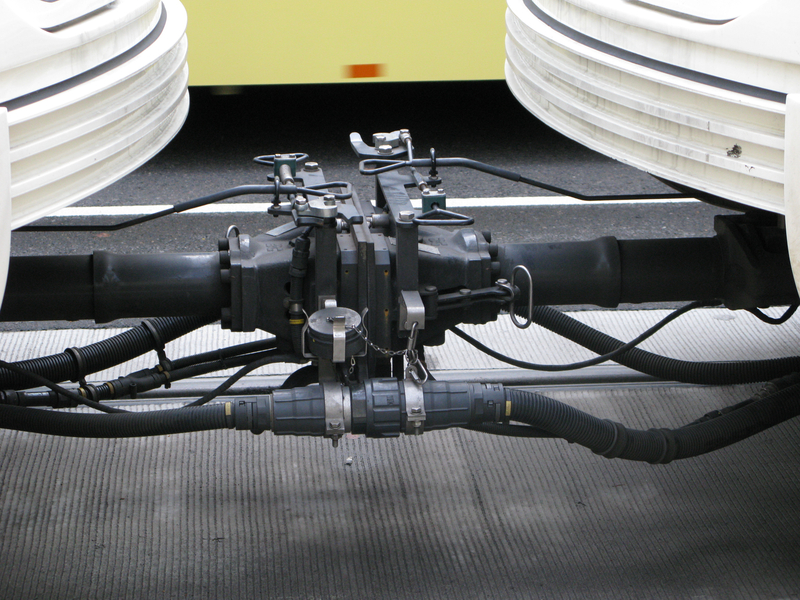 For example, now that we’re back in the rainy season, you’ll hear the buzzing sound of sand being deposited for traction which is normal and expected. 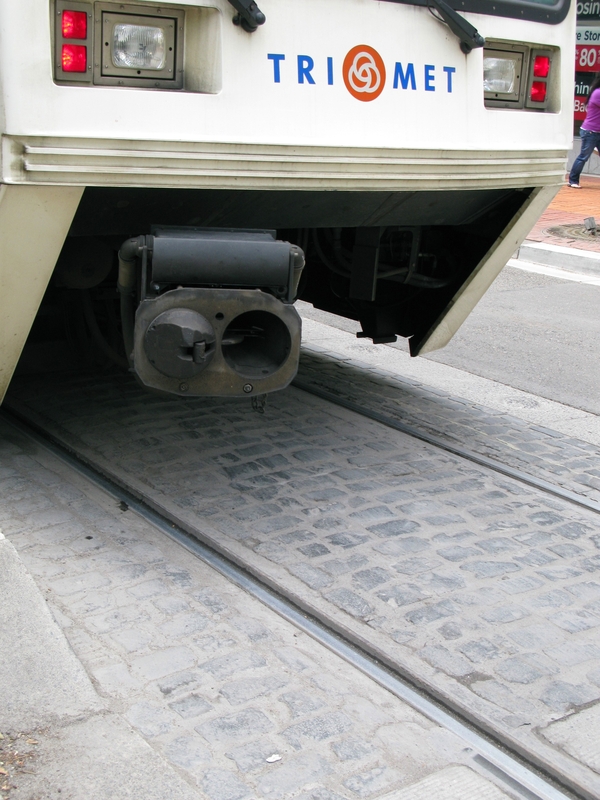 Another example of something that isn’t a concern is when the lights and HVACs in the train temporarily go out because an operator took power underneath a section isolator or where the overhead wires cross (such as near Pioneer Courthouse or any of the Streetcar/MAX intersections) What is a cause for concern is if the lights go out and stay out, or all the lights on one side of the train go out – let your operator know if something like that happens, because that’s indicative of a converter or inverter issue and will need to be fixed. Any other options to report an issue? 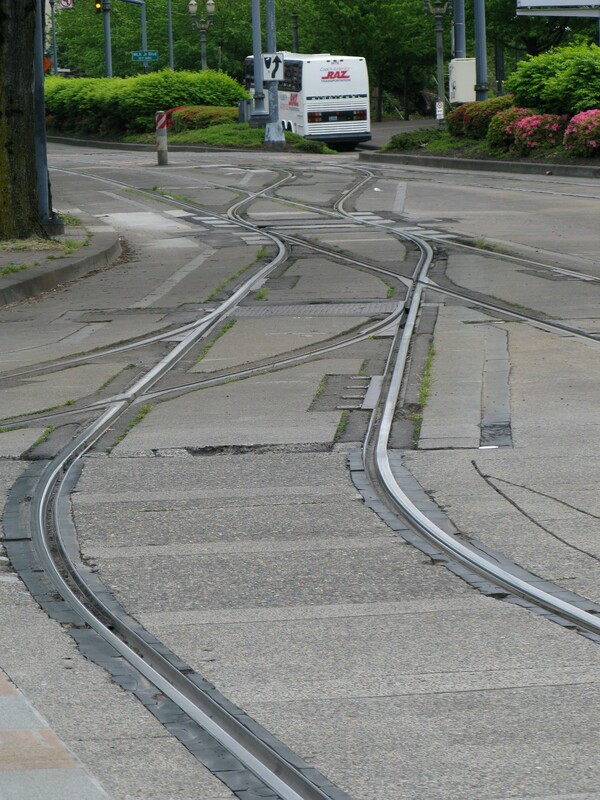 You can also call TriMet’s customer service number 503-238-RIDE to report a safety, security, or operational problem by pressing 5 in the menu of options. However, this is only available Monday-Friday, 8:30a-4:30p so if you’re traveling outside these hours, similar to Twitter this isn’t going to be the most helpful way to get a fast response. 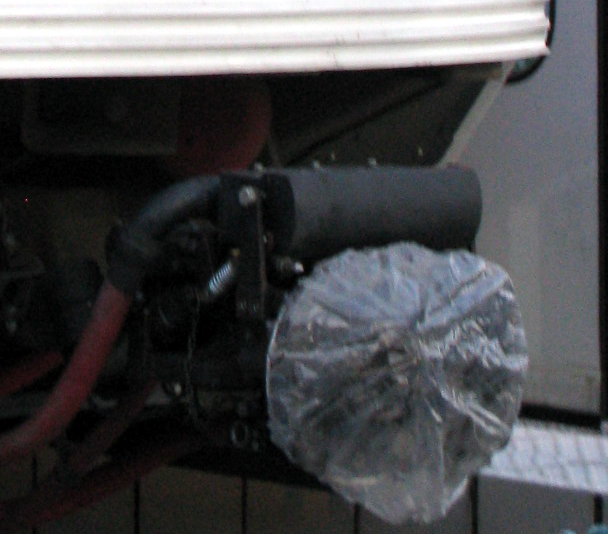 And of course, you can call 911 if the onboard situation warrants it. 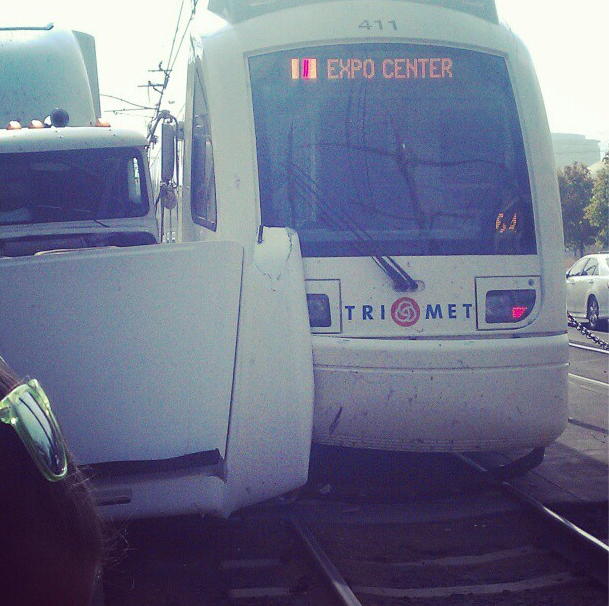 So When should I tweet @trimet about an incident on a train? 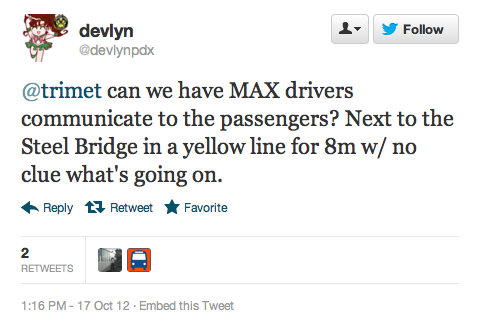 Sorry, that was sarcastic of me, but if you want an immediate response, tweeting @TriMet is not your best option. 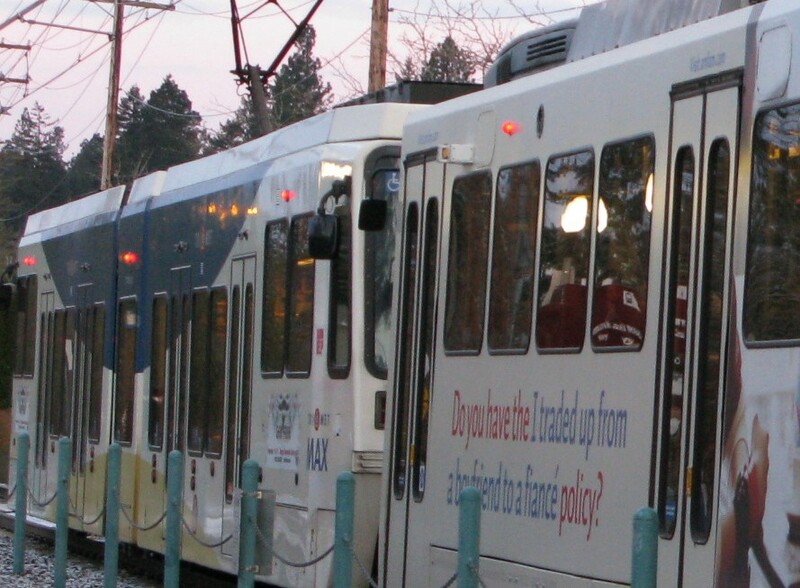 While @TriMet is great for directing people to customer service after incidents occur, it’s not a good way to get an immediate response to an issue. 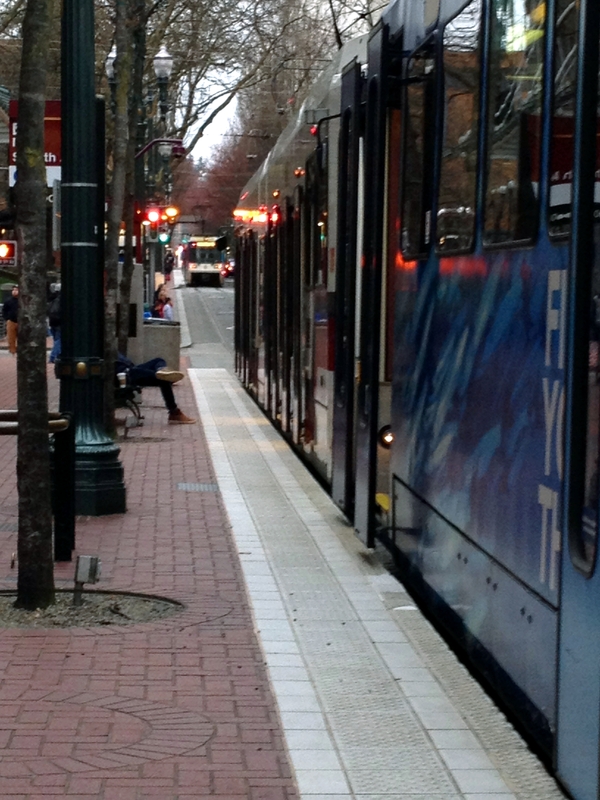 Talking to a TriMet employee at the time the incident that you want to report occurs is the best way to get a situation addressed, and so this should be your first option for safety issues or an operational problem with a train. 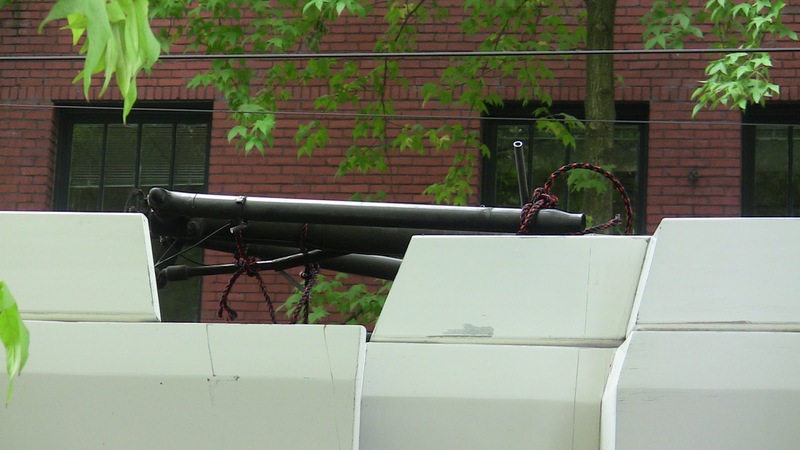 The official Twitter backed me up on that after someone tweeted both @TriMet and the mayor of Portland to report that a stanchion pole on a train was broken – that sort of thing would best be reported to the operator when the train is stopped at a platform. 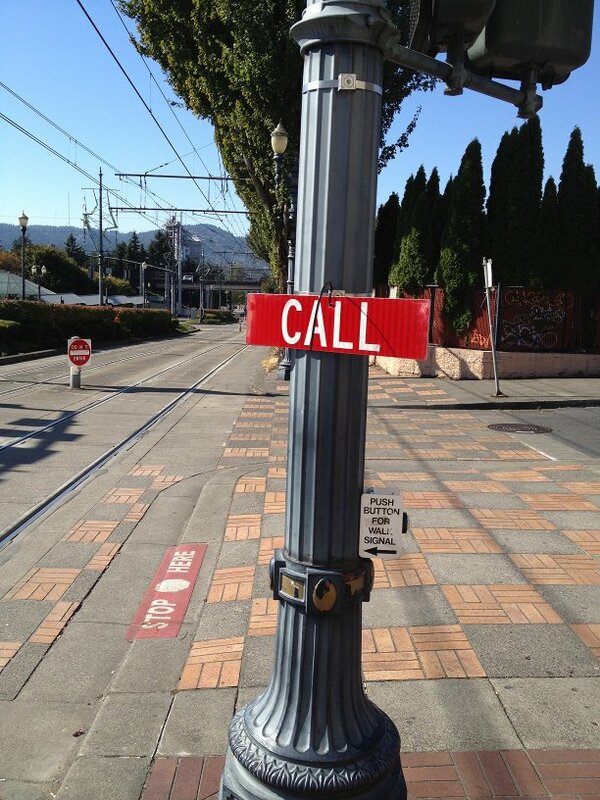 If you have a non-urgent, non-safety, non-train concern such as reporting a broken ticket machine or validator, a Transit Tracker problem, or graffiti on a platform, you can use Twitter to let TriMet know as these aren’t urgent situations that require a fast response.